For anyone interested in learning Shiatsu as a home therapy, and for those looking deeper into professional studies, I still stand by and recommend my basic textbook on Shiatsu. 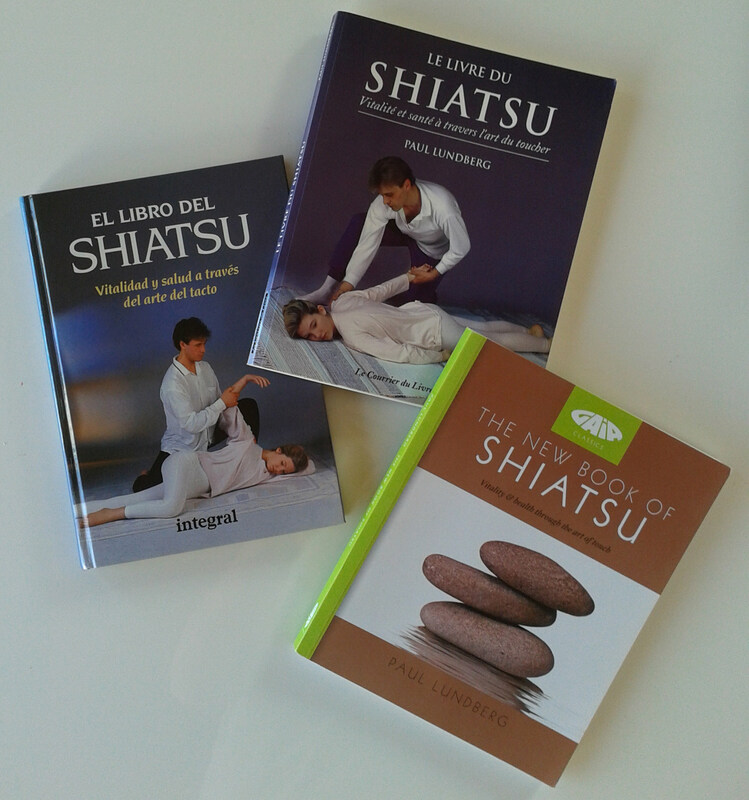 First published in 1992 as The Book of Shiatsu, it has now been revised and re-edited as “The New Book of Shiatsu”, published in England by Gaia/Octopus and in the USA by Simon & Schuster. It has appeared in varous editions and been translated into 15 languages over the last twenty years. Shiatsu is an evolving, versatile therapy with many possible applications and levels of use. It belongs to the modern world just as much as to the hardy and venerable tradition of East Asian medicine that began in China more than two and a half thousand years ago. Although barely half a century has passed since it was officially approved in Japan, shiatsu very soon spread to the West and has since grown steadily to become a recognised treatment method in virtually all parts of the globe. Yet many people might still ask, “What is it that distinguishes shiatsu among the numerous forms of manual therapy today?” And in order to ensure that shiatsu’s valuable contribution to our general health and wellbeing continues, we must always be prepared to answer. 1) It is, in theory and practice, understandable, coherent and logical. Shiatsu incorporates modern anatomy and physiology and does not depend on mystifying symbols and obscure techniques. The medical tradition of China and Japan represents centuries of continual investigation and experience based on an integrated, holistic view of human beings and their environment. In that view, nature, body and mind were not separated and the universal, dynamic principles of subtle energy were appreciated long before their discovery by modern science. 2) It is down to earth, immediately accessible and practical in application. Shiatsu can be practiced and enjoyed in simple form, for oneself or for others, by anyone with an interest. Thus it is valuable for personal health and wellbeing, first-aid and care in the family and community. 3) Its finely graded techniques range from the most basic to the most refined. With correct training shiatsu becomes a powerful healing method, developed only through patient perseverance. Subtle perceptions and skills grow alongside sensitivity, autonomy, confidence and compassion in response to our shared human condition. Shiatsu clearly offers a range of valuable options for contemporary society. When studied and practiced as a skilled professional therapy, integrating traditional and modern medical knowledge, it can confidently take its place among today’s most effective treatment methods and health support systems. Beyond this it has an important educational role promoting health and wellbeing in the wider community. Its most basic principles can be learned in a few weeks by anyone and practiced safely at home. Shiatsu also offers natural and easy access routes to many systems of exercise for maintaining fitness and health. To this adaptability throughout the intermediate range of healthcare needs must be added the glaring economic benefits of all manual therapies and healing methods. As learned, they are an internally held cultural resource, essentially free of material costs. In offering these many benefits to contemporary society, Shiatsu also conforms with the highest ideal of Eastern Traditional Medicine, ultimately guiding people towards understanding and responsibility for their own health and happiness. I hope that you enjoy your shiatsu journey. My last word on this book: When you have finished reading it, please consider reading back through the chapters in reverse order, observing how the concept of separate channels or “Pathways of Ki” and the diagnostic process that emphasises their use in treatment can be re-packed into the simpler forms. So, arriving again at the possibilities offered by a basic type of treatment, just working on the front, back or sides of the body in an open manner, we can recognise that the Yin-Yang forces evoked are integral to the body system. They follow natural patterns by themselves, flowing from the head to the feet or vice versa, connecting the outside and inside of the body in an unforced and individual manner, especially when the practitioner allows sensitivity to guide the quality and timing of their touch. Formal knowledge can often be set aside, or at least, not grasped so hard. We can allow the theory we have learned to filter down into our common sense understanding of things, but meanwhile a more relaxed healing exchange is going on.